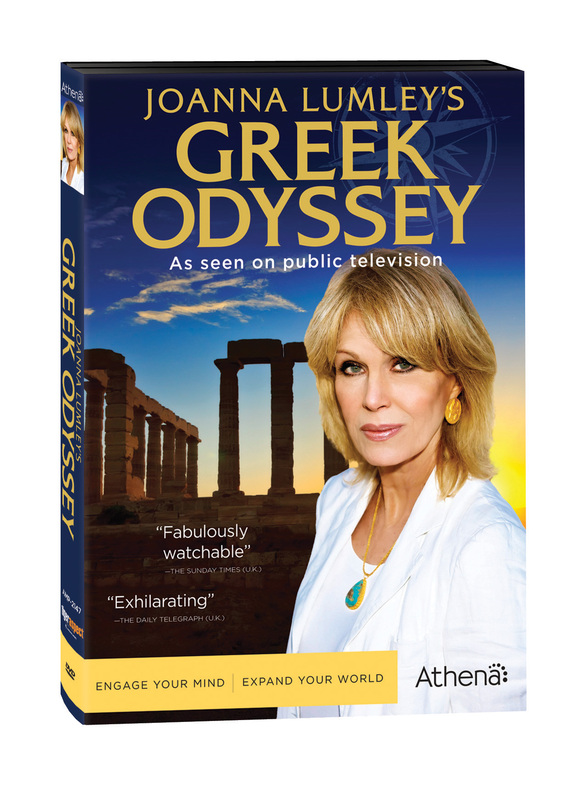 The other day, I received a copy of Joanna Lumley’s Greek Odyssey. It’s a four episode travel show. Can I just say that I love her voice? It’s so soothing and British. I first saw Joanna Lumley as Patsy Stone on Absolutely Fabulous. She is hilarious! So, when I got the chance to watch a show with her touring Greece, I said, Of course, darling! Greece is fascinating. As Joanna says in her Greek Odyssey, so much of western civilization began in Greece. There is tons of history and culture to see and enjoy in that country despite its current financial state, which Joanna does bring up on occasion. Also, I learned quite a bit about the country’s history during World War II. I didn’t realize just how much that war effected Greece. It feels like one of those TV shows that gets shown on public television which I thoroughly enjoy. It’s educational, entertaining, and soothing. I’ve always said that if I didn’t have cable, I’d probably do nothing, but watch PBS all day. I appreciated the animation that helped fill in the blanks at some of the ancient ruins. It has really beautiful cinematography. The images of Mount Olympus, the various islands in the Mediterranean & Aegean seas are mesmerizing. If you are looking for a nice break from all the “reality” TV and want to learn a thing or two, I highly recommend this four episode series. You can buy the DVD or watch it online at Acorn TV. It might even be coming to a local PBS station…again. I received no compensation for this review. Opinions are my own.